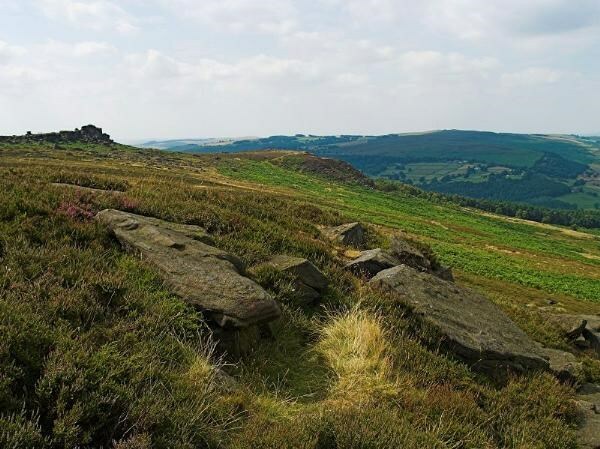 Take a walk over the moors to this cache and enjoy glorious 360 degree views. Parking can be from several different locations depending upon which direction you want to approach. There is limited free parking at N53 19.285 W1 36.411 near to the Fox house pub / Toads Mouth same place as my Hole in One cache (GCP17K). From here walk down the main road and past Toads Mouth and follow the footpath at N53 19.333 W1 36.634 about 0.8 miles to the cache (take care crossing the bridge on the main road) You can also park in the Surprise View Pay and Display car park N53 19.024 W1 37.397 same place as my Surprise cache (GCHAMY) about 0.75 miles to the cache. 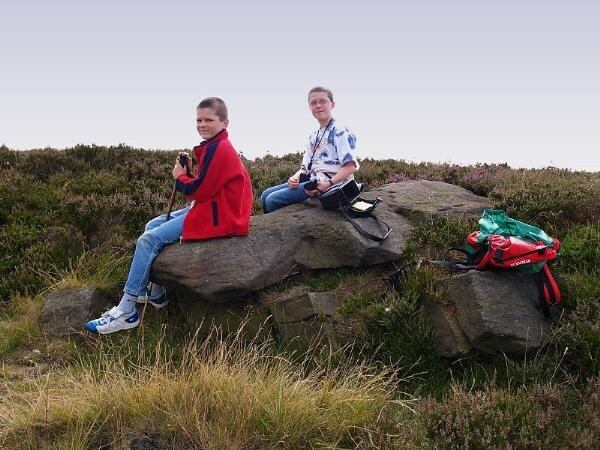 Or if you fancy a longer walk you can park on the Ringinglow road between Hathersage and Sheffield at N53 20.579 W1 36.492 same place as my Bountiful Burbage (GCHV1J) cache. About 2 miles to the cache There are also several footpaths off the Hathersage to Ringinglow road but parking can be a bit dodgy from here although there is some good parking opposite Higger Tor. If you are bringing a dog please make sure it’s on a lead as there are sheep in the area. The cache is in a 1.16L Tupperware style container. Whfg bss gur cngu haqre gur sebag rqtr bs n ynetr ebpx.